Dr. Wahl is an Orthopedic Surgeon who completed his medical training at the prestigious Cleveland Clinic. 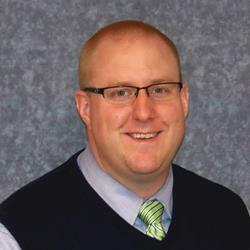 Dr. Wahl treats patients of all ages with a variety of orthopedic needs and performs orthopedic surgeries weekly at Guthrie County Hospital. Call the GCH Specialty Clinic at 641-332-3900 for further information. Self-referrals accepted! New patients: Please download and complete the following form and bring to your appointment.